Super mare Winx returns for the spring in a star-studded trial at Rosehill Gardens on Monday. 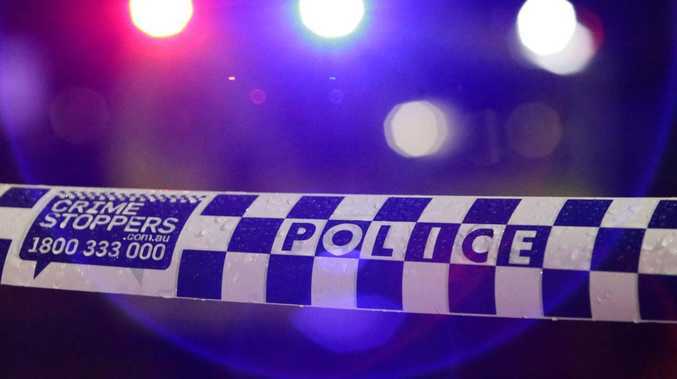 Could this be the horse trial that stops a nation? 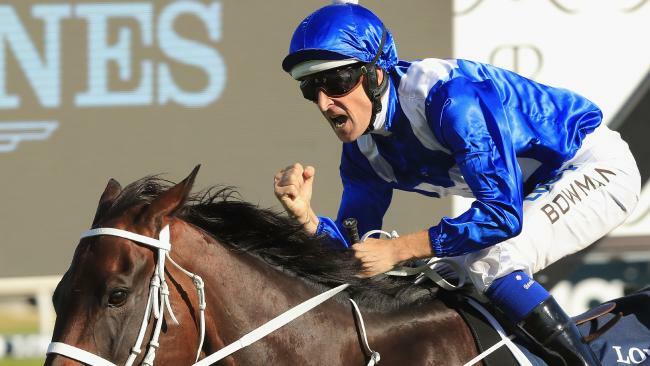 THE racing world will stop at 8.15am on Monday morning when mighty mare Winx kicks off her pursuit of a historic fourth Cox Plate in a star-studded Rosehill trial which has consequences beyond her own campaign. The "grey flash" Chautauqua is also listed to jump in the talent-filled 10-horse dash over 900m in what looms as the six-time Group 1 winner's last chance to resume his racing career. In an extraordinary assembling of horseflesh, only two of the runners in the early morning jump-out haven't won a Group 1. There are 32 split between the rest of the field, including Winx's 18. The combined prizemoney of the 10 starters is a touch over $40 million and the usual throng which assembles to witness every move of Winx is likely to swell considerably. It's just under 100 days until the 2018 Cox Plate where Winx is already a $1.50 TAB favourite to become the first horse ever to secure the race for a fourth time. Trainer Chris Waller has also entered this year's Rosehill Guineas winner D'Argento, which is on the third line of Cox Plate betting at $21, in Monday's trial. 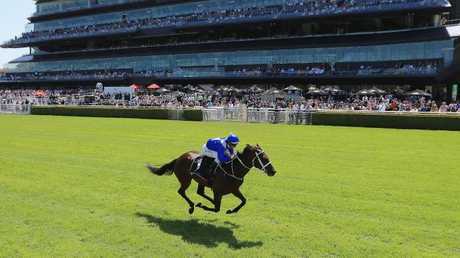 Waller has already confirmed Winx, the world's highest rated horse with 25 consecutive wins, will have two trials before resuming racing in the Group 1 Winx Stakes (1400m) on August 18 at Randwick. Despite her run of victories, Winx has only ever won two trials and the assembled field on Monday morning will probably ensure that record remains in place. But Winx won't be getting all the attention as Chautauqua needs to leave the gates successfully to get approval of stewards to keep racing. 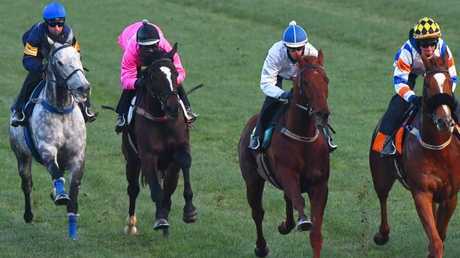 The seven-year-old gelding finally left the barriers in a jumpout at Flemington last week after four failed attempts earlier this year left the Hawkes training team unsure if he would race on. Ridden by Tommy Berry, who flew in from Hong Kong just for the occasion, Chautauqua ticked one box but is required to pass a second barrier test to be reinstated. If he does as expected, Chautauqua will likely head to the Group 2 Missile Stakes (1200m) at Randwick on August 4 and hope to gain a slot in the $13 million The Everest in October.